Visitors taking pictures of plants are welcome anytime at Matthaei Botanical Gardens. The use of tri-pods, and other equipment beyond your hand-held camera, however, is not allowed in the Conservatory during high traffic times (Saturdays, Sundays and during tours & events). Amateur or Professional Photographers taking pictures of people using the outdoor Gardens or indoor Conservatory for photo shoots will be charged according to the schedule below. Just stop at the front desk to pay the fee and pick-up your Photo Pass. There are also fees for amateur or professional photographers taking pictures of products for commercial or other uses. Arrangements must be made though our rental coordinator. 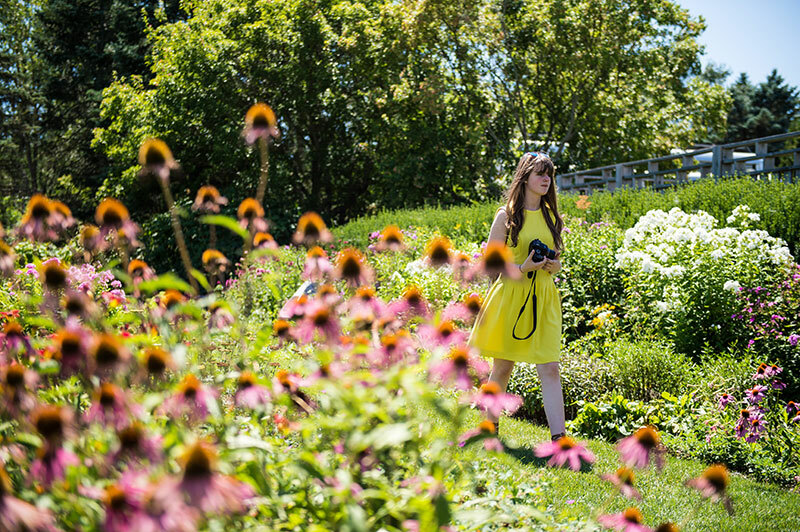 Professional photographers We want your clients to have positive memories of their photos at the Gardens – but the Gardens are maintained for University and general public use. We reserve the right to limit use of the facilities by professionals based on Garden events and previous rental arrangements. We ask that professional photographers not advertise our Gardens as a photo shoot location without permission from us. Professional photographers using our facilities for business purposes are asked to pay the fees listed above if they apply – in other cases, please make a donation to Matthaei/Nichols or help support us by becoming a member. Consent to be photographed or recorded Visitors to our events and programs may be photographed by one of our volunteers or a professional photographer. If our faculty or staff judge that education or research may benefit from the use of the photographs and/or recordings, the University may publish or sell (not for profit) them for academic purposes, or use them in any other professional manner that the University believes is proper, including, but not limited to: print publications, video streaming on U-M websites, podcasting, and broadcast media.